WARM AMBIANCE WITHOUT THE MESSS-- Our LED tealights are designed to set the perfect mood for any occasion. 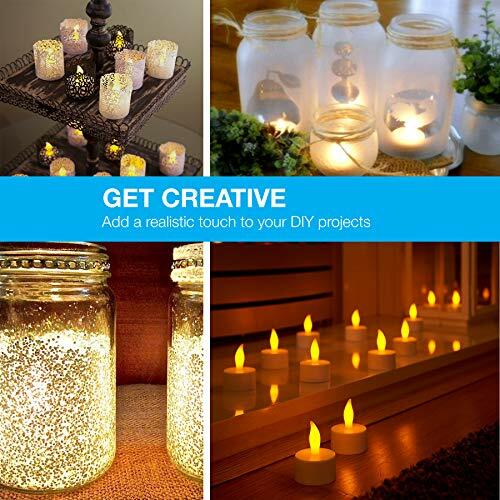 No more cleaning candle drips or worrying about starting a fire. Simply flick the switch to turn on and enjoy the warm flickering, heat-free lights. 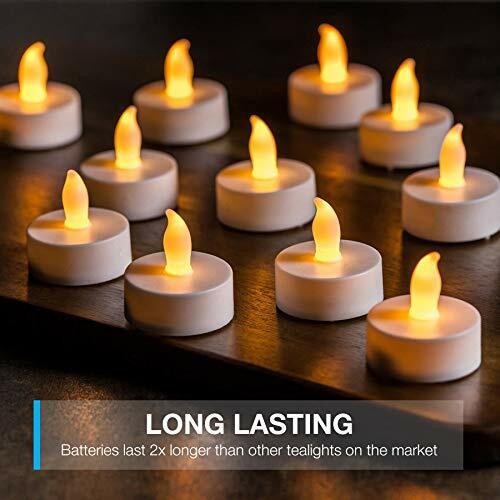 SUPER LONG BATTERY LIFE-- Our battery powered tea lights last 2x longer than our competitors and come with pre-installed batteries for your convenience. 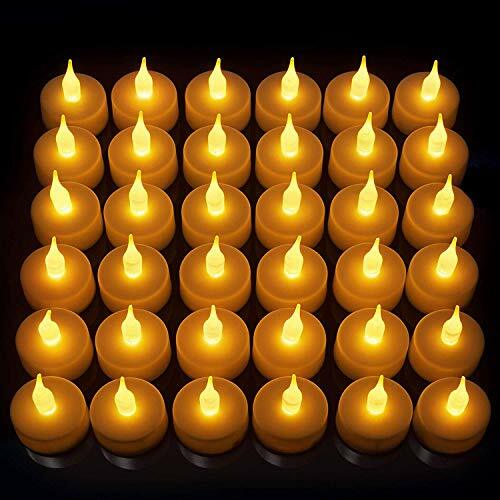 All 24 candles can last for days without turning them off. They measure at 2x2 inches and fit into most candle holders. EXTREMELY REALISTIC-- We hand-craft each LED tea light to replicate the look & flicker of a real candle. Don't be surprised when your visitors won't be able to tell the difference and try to blow them out. 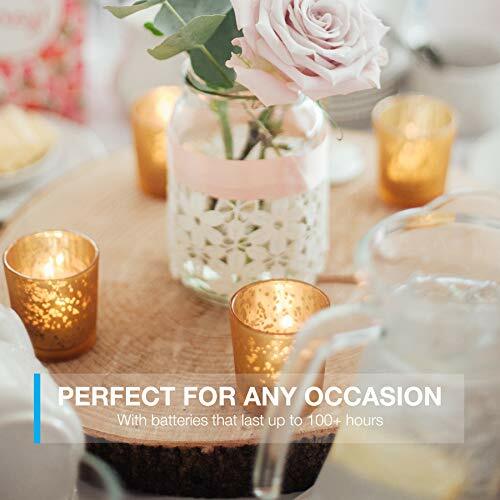 PERFECT FOR EVENTS: These flameless tealights are the diva of any event with their beautiful flickering light. Whether you are planning a wedding, surprise proposal or an ambient dinner: our lights will serve your every need. 100% SATISFACTION GUARANTEE :At Vont, we've been designing each product with YOU in mind. Your satisfaction comes first. 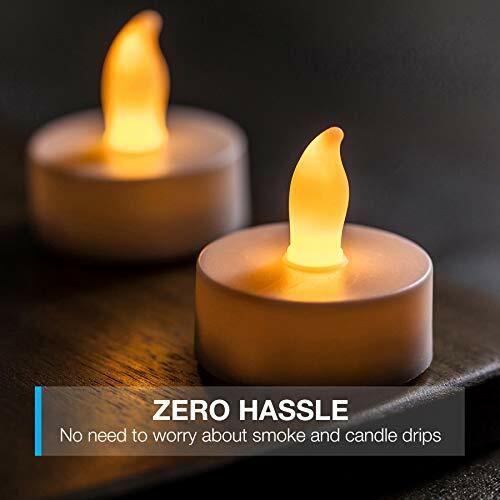 Shine on with our Vont Flameless Tealights with a 10-year warranty & a 100% satisfaction guarantee because this is how much we trust our products. No questions asked.